Galloway and West Dumfries MSP Finlay Carson has criticised the SNP Government’s Connectivity Minister after he failed to answer key questions over the R100 broadband roll-out programme. The Scottish Conservative and Unionist MSP had asked on what date the contractor for R100 will be announced as well as when work will commence. 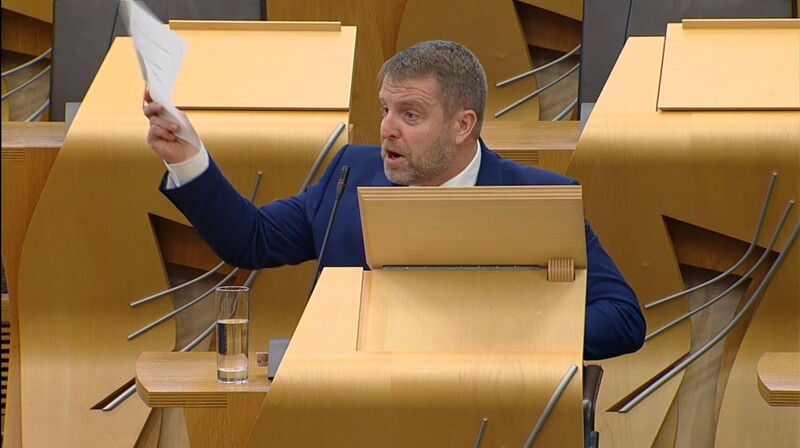 However, SNP Connectivity Minister Paul Wheelhouse MSP has only responded saying ‘I will reply to the member as soon as possible’, two weeks after Mr Carson submitted his question. Mr Carson hopes this is not the start of missed deadlines when it comes to broadband roll-out and that the SNP Government fully deliver for rural communities, who need badly upgraded. Commenting Finlay Carson MSP said: “Upgrades to broadband and connectivity general are absolutely vital for the rural economy going forward, in terms of opening up opportunities and investment. “That is why it is disappointing to get this non-response from the SNP Government Minister responsible for connectivity.